By Ellen Hey, Director of Clinical Operations and retired United States Army Officer and Dr. José Canario, Medical Director, Finger Lakes Community Health and former United States Naval Officer. Did you know that we have a robust community here who are serving or have served in the military? Many of you reading this are familiar with some of our military landmarks, such as the Seneca Army Depot, but you may not be aware that many of your neighbors are serving or have served our country. At Finger Lakes Community Health (FLCH), we are very aware. Both Ellen Hey, FNP, and I have served and bring our experience to our patients and the healthcare providers at our health centers. We find this helpful as we develop a patient’s complete health picture. It can be as simple as asking “when will you be deployed?” or “when will your significant other be back?” Or knowing that certain medications can’t be prescribed prior to a deployment. So, what’s important to know about getting healthcare when you’ve served in the military or are a family member? Tricare covers active duty, reserve, retired, and families of the U.S. Army, U.S. Air Force, U.S. Navy, U.S. Marine Corps, U.S. Coast Guard, the Commissioned Corps of the U.S. Public Health Service and the Commissioned Corps of the National Oceanic and Atmospheric Association around the world. Be sure to ask your provider if they accept this insurance plan. The Veterans Choice Program allows you to receive healthcare within your community. Using this program does not impact your existing VA healthcare or any other VA benefit. 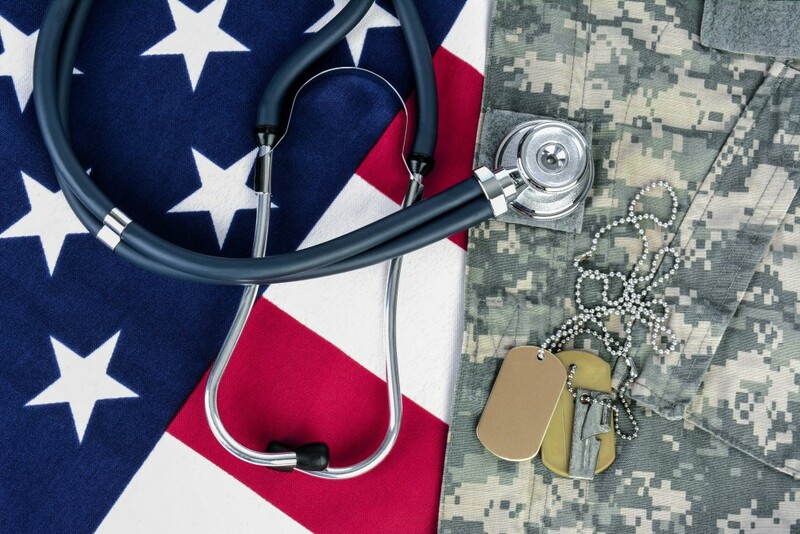 Finger Lakes Community Health is certified with Veteran’s Choice and accepts Tricare. Why is it important to get care by service members for service members? With three veteran employees at Finger Lakes Community Health, including ourselves and Dr. Neri, DDS, we know how important it is for service members to have personalized health coverage as close to home as possible. FLCH has eight locations within the Finger Lakes that all accept Tricare for medical, dental and behavioral health. At FLCH, Ellen and I also serve as advisors to the medical, dental, behavioral health, and support staff ensuring that we impart our knowledge to them. The support staff is available to help patients get access to other health services such as labs, radiology, and assist with health insurance questions. Our health centers also connect to local Veterans’ Service Agencies for continued education on veterans’ issues and for continued support options for our veterans and their families. How do you coordinate care with the VA? If a service member goes to the VA for specific care but requires primary care, he or she can come to FLCH for that care and we will work with your VA provider and case manager for comprehensive care. Families need personalized care too. As medical providers it’s always important to ask the right questions. It’s even more important with those who have served and their families. We are trained to ask families of service members personalized questions related to their situation. For example, our counselors speak with service members’ children to ensure they’re adjusting well when their loved one has deployed. How do you continue to receive healthcare when you’re transitioning from the service? If you are in a period of transition from the service and will not be covered by Tricare, we can help. We have financial advocates available at FLCH who will find the best insurance coverage and assist with applying for that coverage. We can also help with applying for coverage with the Department of Veterans’ Affairs while our providers continue to deliver care. We will also assist you with documentation of your health needs while you are in this process. Whether you’re currently serving, are a veteran or a family member, we’re here to help. We can provide full medical, dental, and behavioral health services. If you have any questions, call us at (315) 531-9102.